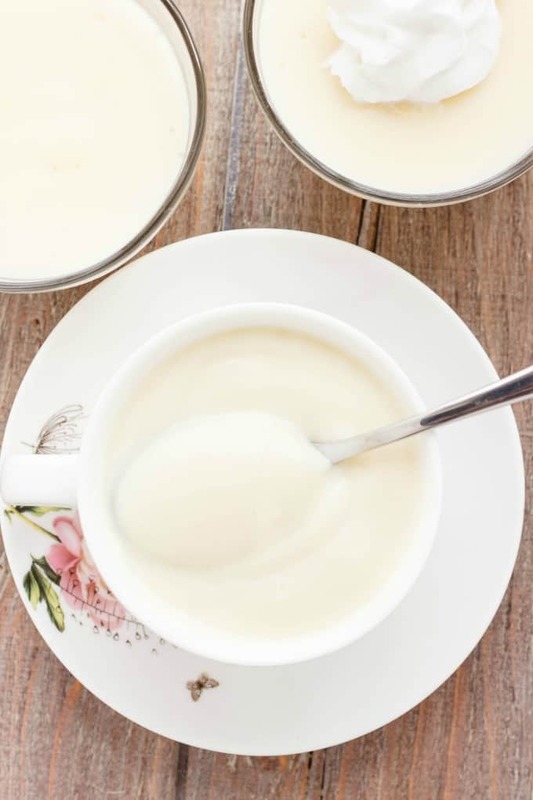 Why anyone would buy store-bought pudding is beyond me when you can EASILY make this homemade vanilla pudding at home for little cost and no effort! If you missed my Mother’s Day posts last week, be sure to check them out! So, today I bring you homemade vanilla pudding. Nothing special, no fancy gadgets, just good ole pudding. And let me tell you, soooo easy and the meal costs peanuts. Seriously, the most expensive ingredient is probably the egg. It is amazing how simple a recipe can be and how easily it can be avoided. Personally, we grew up on store-bought pudding. Again, nothing wrong with that, but in this economy people are always looking for ways to save money and feed their family well. Sure, store-bought pudding is also dirt cheap, but can you really compare it to the homemade stuff?! No way! I went with this homemade vanilla pudding because my daughter and sister are both vanilla fans. Chocolate is my favourite and don’t you worry, there will be homemade chocolate pudding in the future, but I figured vanilla was a safe route to go since apparently some people do not like chocolate (GASP!) My mother would agree with me when it comes to chocolate, but I know she would love this homemade vanilla pudding as much as we did! Now, we have some things to discuss when it comes to technique. As I said, homemade pudding is SUPER easy, but some hiccups can occur. You want to strain your mixture through a sieve to guarantee there are no lumps. Sometimes people curdle their eggs, or don’t stir well enough. I found I liked straining the mixture after it sat off the stove for 10 minutes and then I strained it once again when it was chilled in the refrigerator. Basically, place into one big bowl, chill, strain, and place into individual cups if desired 🙂 You can skip the straining but do you really want to risk lumps?! If you are having problems with lumps, you can always strain the mixture after it has chilled. I find this works particularly well because sometimes lumps do not show up until after refrigeration! In a medium-sized saucepan add the cornstarch, sugar, and salt. In a separate bowl, beat the egg until paler in colour: a good couple of minutes. Add in the milk and whisk to combine. Pour liquid into saucepan. Cook mixture over medium heat, whisking often, until bubbles form and mixture thickens. Remove from heat and stir in butter and vanilla. Allow to cool slightly on stove top, stirring occasionally to prevent film. Pour through a fine sieve and refrigerate until ready to serve. 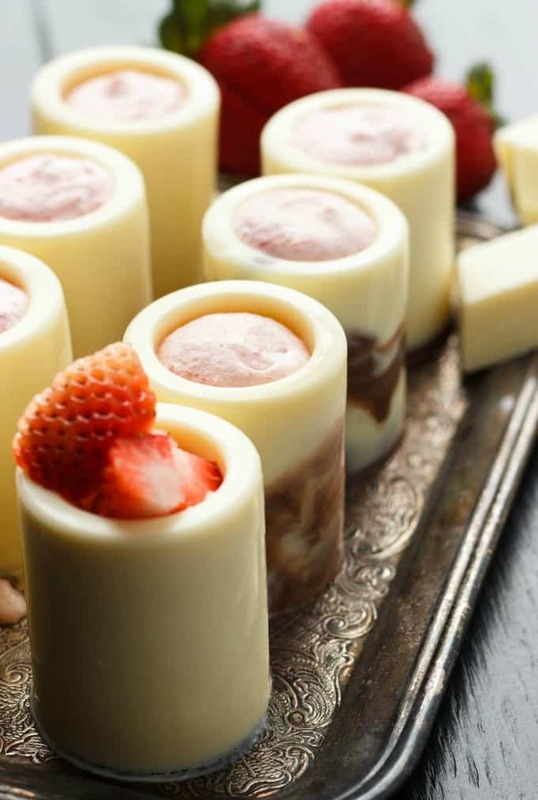 You can put the pudding in individual cups if desired. If lumps form after refrigeration, just push through a fine sieve again. Honestly, I feel this recipe is pretty forgiving. I have made it multiple times with no issues and adjusted ratios accordingly to make other flavours. It sets up nicely and has that perfect silky texture. I really need to stop being cheap and invest in some vanilla beans. Using vanilla beans in this recipe would give it such a pop! I LOVE making my own pudding, and vanilla is my all time favorite flavor! You sound just like my sister! I have never made homemade pudding before. My husband loves vanilla pudding though, so I really need to try this for him! This pudding looks so silky and luscious - I just want to dig in! You are right. So easy and there are no preservatives in this dessert. Looks wonderful! Who knew pudding was so dang easy?! And those cups are beyond cute! 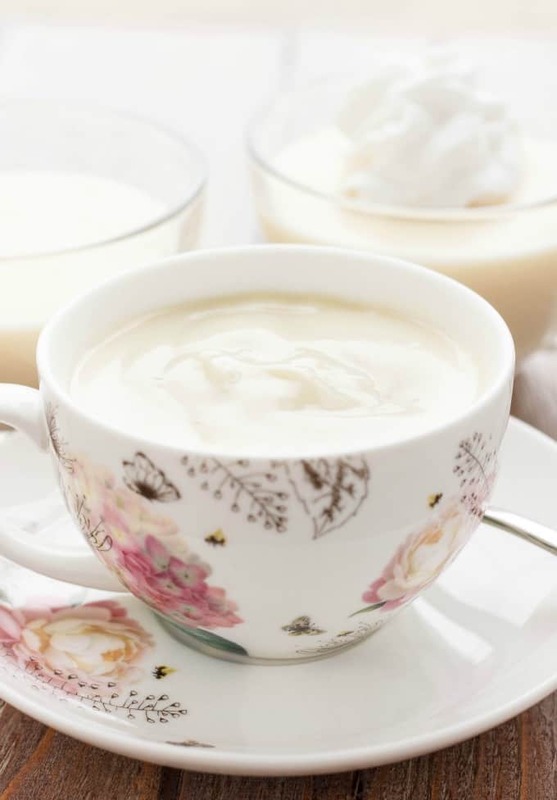 I like vanilla too - love how simple this recipe is! I've only made homemade pudding once, but it was TOTALLY worth the little bit of effort. 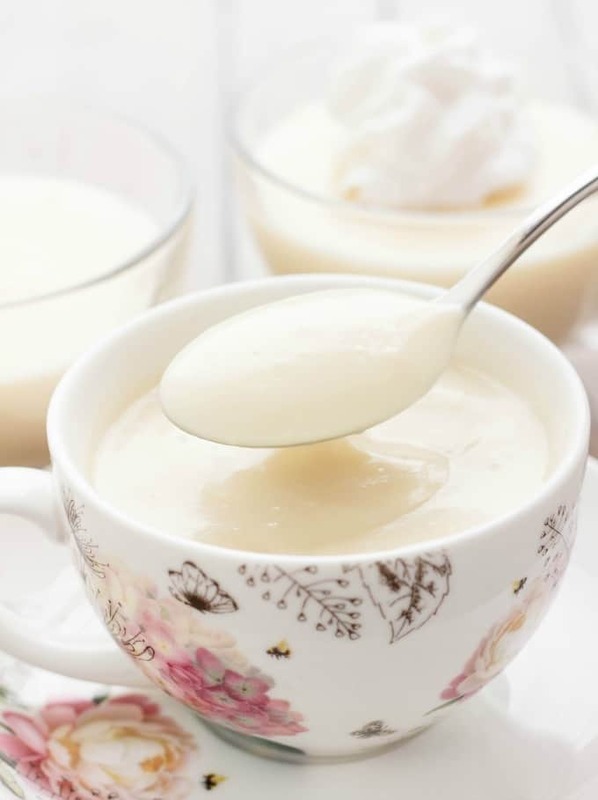 This vanilla pudding looks perfect! Oh, for sure! And once you start, the flavour combinations are endless! How much pudding does this recipe make? Is it 4-6 cups? Half cups, bowls?? Anyway it looks delish! I am making this as we speak! But I realized I am using lactose free milk.... will that affect it? It's taking forever to thicken and bubble! I used real vanilla beans (already added). Fingers crossed! How did it go, Shelby? I have not used lactose free milk so I am not sure! I tend to use 2% because of the higher fat content! I made the basic vanilla pudding and added leftover Chinese food white rice and cinnamon and it became delicious homemade rice pudding! I did rinse the rice in hot water so it wasn’t stuck together and doubled the butter.